PA Rep. Donna Bullock: I Want to Believe We Can Achieve Equal Pay in Pennsylvania | Come Check out Our NEW Site! Today is the seventh anniversary of the Lilly Ledbetter Fair Pay Act. As we reflect on the progress made toward equal pay and how far we still need to go to achieve it, we are pleased to welcome Rep. Donna Bullock as a guest writer. The newly rebooted version of 90s cult classic television series The X-Files is a throwback in more ways than one. Actress Gillian Anderson, who plays agent Dana Scully, recently revealed that she was offered only half the paycheck offered to David Duchovny, the actor who plays her character’s partner. “As usual, they come to me with half of what they want to offer David,” she said. Anderson found the offer particularly galling because she had already waged and won that battle after fighting for equal pay on the set back in the 1990s. 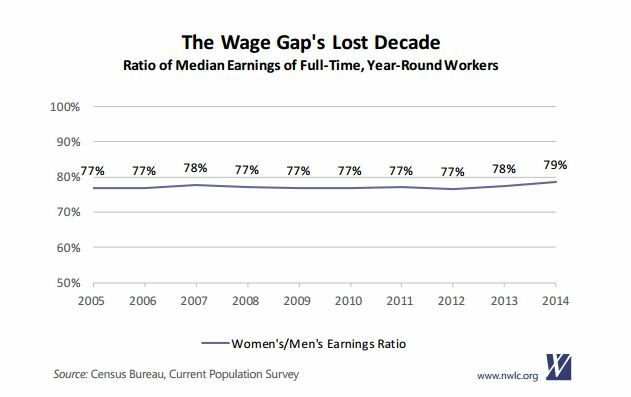 The wage gap has been stagnant for nearly a decade. At this rate, women in Pennsylvania are not on track to receive equal pay until 2072. Many stories of gender pay discrimination are coming out of the entertainment business lately. But of course, pay discrimination is not unique to Hollywood. Whether we are talking about waiting tables or running a company, men, on average, make more money than women for the same work. However, most working women don’t have a platform, like actresses and other entertainers, to speak out about the problem. In reality, most working women arguably don’t even know if they have been paid fairly, thanks to employer pay-secrecy policies. State Rep. Donna Bullock, D-Phila., is a member of the Pennsylvania House of Representatives representing the 195th Legislative District in North and West Philadelphia. The problem is worse for women of color. In Hollywood, not a single woman of color was listed on FORBES magazine’s annual Top 10 Highest Paid Actresses last year. In almost every industry, women of color across America are paid significantly less than white men. On average, women who work full time, year round in the United States are typically paid only 79 cents for every dollar paid to their male counterparts. However, African American women typically make only 60 cents, and Hispanic women only 55 cents, for every dollar paid to white, non-Hispanic men. I am proud to represent hard-working women and families of Pennsylvania’s 195th Legislative District. The gender and racial pay gap is more than a moral outrage for my constituents: Pay discrimination undermines their very ability to survive and support their families. Closing the wage gap for women, and particularly women of color, is crucial not only for these families, but for our economy. Many women are the sole or primary breadwinner for their families, and their salary can mean the difference between poverty and economic security. I ran for office, in part, out of a fundamental belief in fighting for economic justice, and there is no economic justice without equal pay. If we do nothing, and fail to intervene with appropriate corrective policies, American women will not achieve equal pay for equal work until 2059, according to the Institute for Women’s Policy Research. In Pennsylvania, where the pay gap is narrowing at an even slower rate than the national average, women are not on track to receive equal pay until 2072. It is simply disgraceful that more than 50 years after President John F. Kennedy signed the federal Equal Pay Act into law, and seven years after President Obama signed the Lilly Ledbetter Fair Pay Act, it could take another 56 years to achieve equal pay. Clearly, we need to make both federal and state laws stronger. Pennsylvania’s Equal Pay Act, as currently written, doesn’t even cover most Pennsylvanians. I do not want to wait decades to fix a system of discrimination that rigs the game—especially when we already know what steps we can take to chisel away at the gender and racial pay gaps. It’s just a matter of political will. Bills providing clear steps toward closing the gender and pay gaps in Pennsylvania have been sitting in Committee. I am proud to sign on as a co-sponsor to HB1160, sponsored by my colleagues Representatives Brian Sims and Tina Davis. But we can do more than simply pass the Equal Pay Act. We can raise the minimum wage, which in Pennsylvania, is the lowest allowed by federal law. We can eliminate other forms of discrimination against working women, such as ensuring employers provide temporary, minor accommodations for pregnant workers, and ensuring nursing mothers have access to private, sanitary space to pump milk at work. I joined the bipartisan Women’s Health Caucus of the Pennsylvania General Assembly to work on these critical issues, and hope to work with my colleagues to win these major victories for the women of Pennsylvania. The fact is women work in today’s world. Unfortunately, we’re working in a world that still has rules leftover from a society that openly discriminated against female workers. 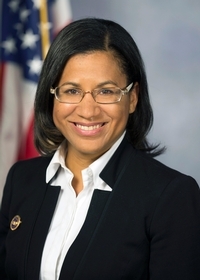 Rep. Donna Bullock is an attorney and a member of the Pennsylvania House of Representatives representing the 195th Legislative District in North and West Philadelphia. You can contact her here. Bills to close the loopholes in Pennsylvania’s equal pay laws are initiatives of the bipartisan Women’s Health Caucus of the Pennsylvania General Assembly, a group of lawmakers devoted to supporting evidence-based policy solutions to real problems faced by real women and families in Pennsylvania. This entry was posted in Equal pay and tagged Equal pay, PA Agenda for Women's Health, PA Campaign for Women's Health, Pay discrimination, Pennsylvania, Racism, Rep. Donna Bullock, Sexism. Bookmark the permalink.